For a limited time, collect 100,000 bonus Qantas Points with the Qantas American Express Ultimate Card! If you’ve not yet taken advantage of this special promotion, we have exciting news – this offer is too good to miss, so American Express has extended it until 6th May 2019! To receive 100,000 bonus Qantas Points, you must apply online by 6 May 2019, be approved and spend $3,000 on your new Card within the first 3 months. In addition to the sign on bonus, you’ll gain access to a range of valuable benefits designed to help you travel in style in 2019. These include an annual $450 Qantas Travel Credit, four Lounge entries each year, complimentary insurances and a 0% p.a. balance transfer option (a one-off 1% fee and T&Cs apply – more information below). Apply now via the secure, mobile-friendly American Express website. Or, read on for a comprehensive overview of this card. The Qantas AMEX Ultimate Card is a popular card of choice amongst Qantas Frequent Flyers, and it’s not hard to see why. Right now, new Card Members can access a significant sign-on bonus of 100,000 Qantas points. And, the perks don’t end there – this top of the line Qantas American Express card delivers a $450 Qantas Travel Credit each year to use at American Express Travel on eligible international or domestic Qantas flights. 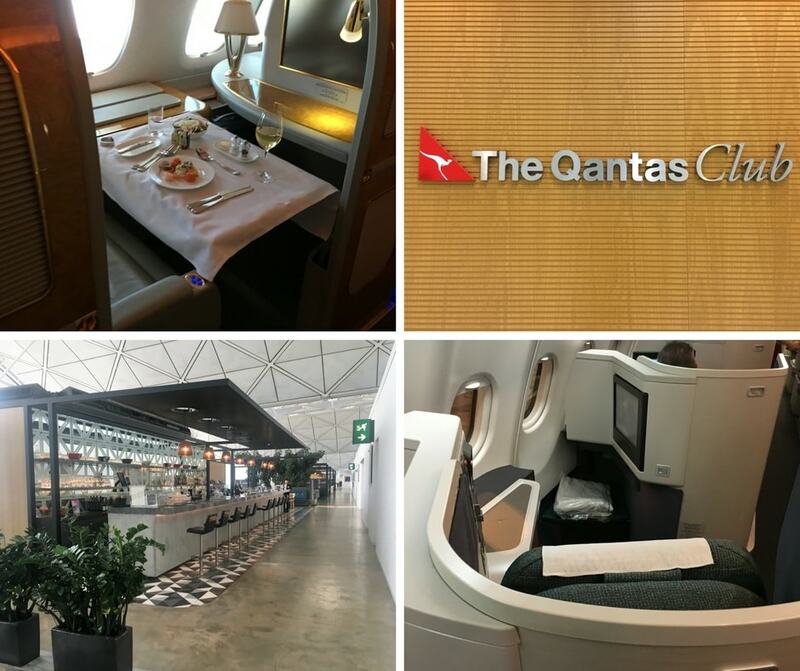 There’s also four lounge invites annually (two to the Qantas Lounge, and two to the American Express Lounge located at Sydney and Melbourne International Airports), complimentary insurances, Premium membership to Qantas Wine and so much more. Like many platinum-grade rewards cards, it’s important to note that the Qantas American Express Ultimate Credit Card comes with a high interest rate on purchases (20.74% p.a with 44 days interest-free). So, if you’re not likely to carry a balance on this card from month to month, this may not be the card for you. However, if you can pay the balance off in full each statement period, you’ll reap the generous rewards on offer, whilst avoiding hefty interest charges. Read on to find out about the key benefits on offer. First up, new Card Members can collect a huge a sign on bonus of 100,000 Qantas Points. That’s enough to jet off on an overseas adventure, flying Qantas or a partner airline. As an example, subject to availability, you could fly on the Qantas Dreamliner or A380 to the USA from selected Australian cities in return economy or one way in business class (plus taxes). Or, why not treat yourself with a luxurious first class flight on the Emirates A380? A one-way flight from Sydney to Christchurch costs just 54,000 points in first class, or 36,000 points in business class (plus taxes). There are many other ways you could use the sign on bonus to travel domestically or internationally. The 100,000 bonus Qantas points are awarded when you apply online by 6th May 2019, are approved, and spend $3,000 on your new Card within the first 3 months. Fees and charges are payable in addition to the points redeemed. Point redemption is subject to airline T&Cs and availability. Each membership year, Qantas American Express Ultimate Card Members receive a $450 Qantas Travel Credit to spend at American Express Travel. Simply by using the Qantas Travel Credit each year, you’ll be able to extract maximum value from the $450 annual fee. The Qantas Travel Credit can be used towards eligible international or domestic Qantas flights when you book and pay online at American Express Travel. Eligible flights are standard Qantas flights with a QF flight number, so there are plenty of routes to choose from. The Qantas Travel Credit is very flexible, as it doesn’t have to be used for yourself – you can use it to book and pay for flights for others if you choose. On top of the 100,000 bonus Qantas Points for new Card Members, the Qantas American Express Card delivers a very high Qantas Points earn rate on card spend. 1.25 Qantas Points per dollar is one of the highest Qantas Points earn rates on everyday spend in Australia, and it makes this card an attractive one to keep for the long term. Best of all, there’s no cap on how many points you can earn – regardless of how much you spend per month or each year. If you’ve been thinking about getting a Qantas AMEX credit card, but are worried about acceptance, note that the American Express merchant network is growing wider by the day. Chains like Coles, Woolworths, David Jones, Dan Murphy and Myer plus numerous smaller merchants all happily accept the Qantas Ultimate Card with no surcharge. You can boost your points haul even further by linking your Qantas Ultimate Card to PayPal, allowing you to use your card wherever PayPal is accepted. You’ll receive two Qantas lounge passes (valid for both domestic Qantas Clubs and Qantas International Business Lounges) each membership year after your first card spend that year on selected Qantas products and services. 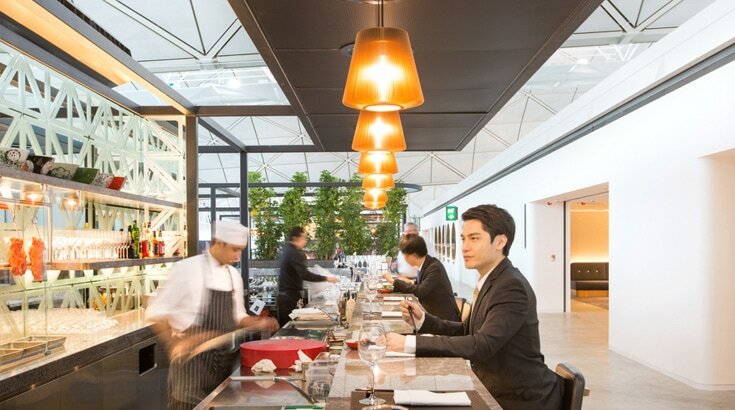 The invites are valid at domestic Qantas Club lounges and International Business Lounges (note that the Qantas Singapore Lounge and the Qantas Los Angeles Lounge are excluded). ‘Selected Qantas products and services’ means paying for Qantas passenger flights that are purchased directly from Qantas, and for Qantas Frequent Flyer and Qantas Club membership joining and annual fees. 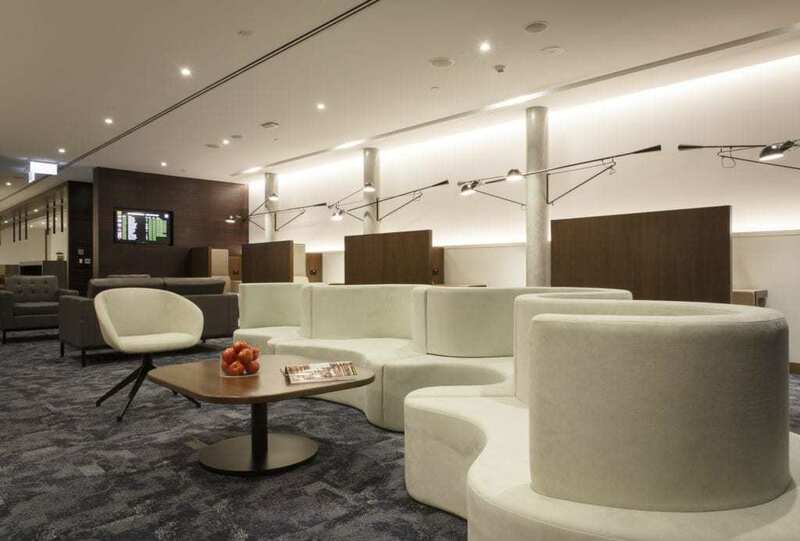 Once your Qantas Lounge passes have been activated, you’ll receive an email from Qantas and your two digital lounge passes will be attached to your Qantas Frequent Flyer account. Note that each Qantas lounge pass admits one person only. However, you could use your two passes for two people. Each calendar year, you’ll receive two entries to the American Express Airport Lounge, located at Sydney International Airport and Melbourne International Airport. The American Express Lounge is a comfortable and stylish space to kick back in before your flight. You’ll have access to a range of complimentary food and beverages, reading materials and working space. There’s no need to chase a membership pass to enter – simply flash your American Express Card at the door. The two American Express Lounge entries included with this card could be very valuable, particularly for Card Members travelling internationally in economy. 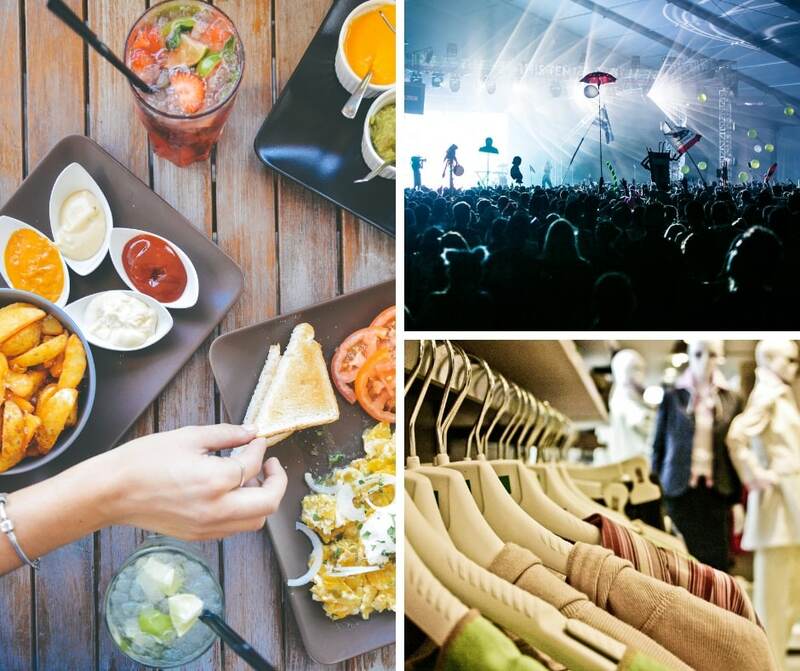 When you use your Qantas American Express Ultimate Card, you’ll gain access to a range of complimentary insurances. Depending on your circumstances, one or more of these products could come in handy, when you’re shopping at home or travelling overseas. The complimentary insurances that you can access through the Card include medical emergency expense cover, travel cancellation cover, baggage/money/documentation cover, transport accident cover and inconvenience insurance (if your flight is delayed) when you pay for travel with the card. It’s important to note that in order to activate the travel insurance products, you’ll need to have paid for your trip using your Qantas American Express Ultimate Credit Card. Before taking up any of these insurance products, and to find out more information about coverage requirements, you should refer to the PDS to ensure they are right for you. New Qantas American Express Ultimate Card Members can access a limited period promotional balance transfer offer, giving you the ability to pay 0% p.a. interest on balance transfers for the first 12 months. A one-time 1% balance transfer fee and other T&Cs apply (see the AMEX website for full details). If you owe a balance on existing credit cards, taking advantage of a balance transfer offer could allow you to save considerably in the form of interest during the promotional period. You should obtain independent professional financial advice before deciding to obtain this product. Complimentary Qantas Wine Premium Membership – this program rewards you with 3 Qantas Points per $1 spent on Qantas Wine purchases. Plus, you’ll enjoy free delivery. To apply for the Qantas American Express Ultimate Card, you’ll need to be able to report an annual income of $65,000 or more and have no history of bad debt or payment default. You must also be an Australian citizen or permanent resident or hold a current Business Long Stay Visa (subclass 457). To be credited with the bonus points, you must not have held a credit card issued directly by American Express Australia in the last 18 months. Previous and existing bank-issued American Express Card Members (cards issued by Australia New Zealand Banking Group Limited, Commonwealth Bank of Australia, National Australia Bank and Westpac Banking Corporation) are eligible. The card offers up to 44 days interest-free on purchases, so you will not be charged interest if you pay your balance off in full each month by the due date. With a limited-time bonus of 100,000 Qantas Points and a very high ongoing earn rate on everyday spend, it’s not hard to see why the Qantas American Express Ultimate Credit Card is a popular card of choice for many Qantas Frequent Flyers. The $450 yearly Qantas Travel Credit, four yearly Lounge entries and complimentary insurances serve to sweeten the deal. If you’re able to make use of the features of the Qantas American Express Ultimate Credit Card, it’s fair to say that the benefits could far outweigh the upfront cost. The 100,000 bonus Qantas Points offer is only available for a limited time, so don’t delay! The secure, mobile friendly application form takes less than 10 minutes to complete and AMEX may be able to give you a response in less than 60 seconds. The Champagne Mile receives a commission when you click on one of the outbound links on this page to apply for the Qantas American Express Ultimate Credit Card. We thank you for your support.